The Rangers (5-2-1) will look to extend their win streak to three games for the second time this season as they head into Philadelphia to take on the rival Flyers (3-2-1), the first of five contests between the long-time, heated rivals. New York defeated the Coyotes in their last game, a 4-1 victory thanks to a superb performance from Henrik Lundqvist, as well as Rick Nash, Chris Kreider and Keith Yandle scoring their first goal of the season. They finally broke through for a power play goal, and the penalty kill was perfect. The Flyers have won three of their last four games, and their special teams has been good. They’ve scored a power play goal in four of the last six games, and just one goal against from their last 17 times shorthanded. The Flyers will start Steve Mason in net, their starter, despite his lackluster start to the season. Mason is 1-2-1 with a 3.88 GAA and a .878 save percentage, allowing 11 goals on 90 shots. Michal Neuvirth, one of Philadelphia’s offseason acquisitions, has been much more effective, but he’ll sit tonight. When playing the Flyers, Claude Giroux will always be a vocal point. The captain is coming off of a two goal game, including scoring the overtime winner against the Boston Bruins. His three goals lead the team, and he’s tied with Mark Streit with four points. Wayne Simmonds is one of the most aggravating, aggressive, and effective power forwards in the NHL. Simmonds is also tied with Giroux for the team lead in points (1-3-4), and he tends to do well against the Rangers. 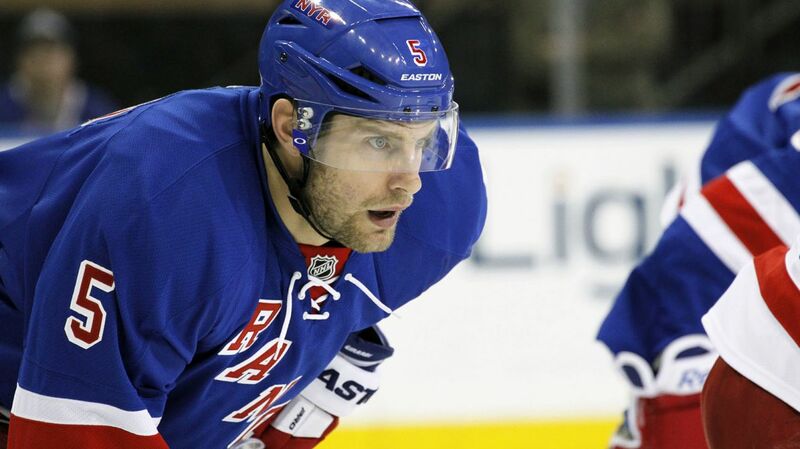 His eight goals in 23 games against the Blueshirts, the second most against any team that he’s faced. Following a brilliant performance against the Coyotes, Henrik Lundqvist is back between the pipes in search of his fifth win in October. His 34 saves were the second most in a single game this season, and he’s posted a very impressive 2.00 GAA and a .938 save percentage. 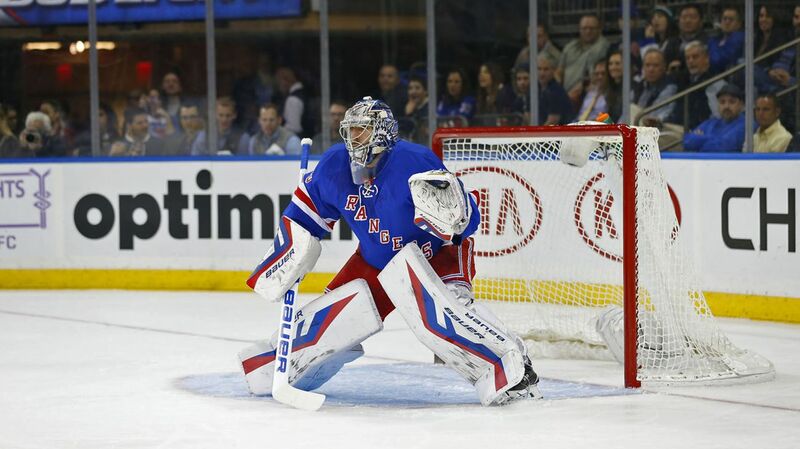 In his career against the Flyers, Lundqvist is 28-13-3 with a 1.82 GAA and a 1.82 GAA. Since March 6, 2011, he’s 14-3-0 with two shutouts against Philadelphia. When Alain VIgneault switched up his lines following a loss to the Canadiens, he also changed his defensive pairings. For the first time in about five years, Dan Girardi is not anchoring the right side of the top pairing. Instead, that spot is now occupied by Kevin Klein, who is enjoying a tremendous start to the 2015-16 campaign, both defensively and with possession (58% ES). When asked about the change, Vigneault responded very bluntly and honestly. AV has been brutally honest in some cases this year, which is a really refreshing approach to things now. He’s right, Dan Girardi hasn’t been as effective as in past years. He makes a lot of errors with the puck, has trouble making outlet passes in Vigneault’s system, and he almost never helps generate offensive pressure. Today’s game presents an excellent opportunity for Girardi to turn things around. Girardi has played 49 career games against the Flyers, and has posted 23 points in those games, all assists. Girardi has just one assist in eight games this season. Dan Girardi HAS to be better. Photo courtesy of MSG Photos. Mats Zuccarello has been very strong this season and recently, scoring a goal and two assists in the last two games. He leads the team with six points (4-2-6), and is one assist away from 100 in his NHL career. Since rejoining the Rangers for the 2013 lockout season, Zuccs ranks second on the team in assists (81), even strength assists (59), and even strength points (94). Keith Yandle scored his first goal of the season against Arizona, his former team, putting him second in scoring with five points (1-4-5). At that pace, he’d score 51 points if he played all 82 games. But we haven’t even seen the best of Yandle yet. At his best, he’ll tally two assists or a goal and an assist every few games, and practically lead the team in scoring. When Rick Nash and Chris Kreider come alive, we could see some serious point production. Yandle has scored a point in 11 of his last 20 contests, picking up 15 points (2-13-15) in that span. He’s second amongst NHL defensemen in power play points (125) since the start of the 2009-10 season, and he’s been on the ice for almost 78% of the Rangers power play goals since joining the team. 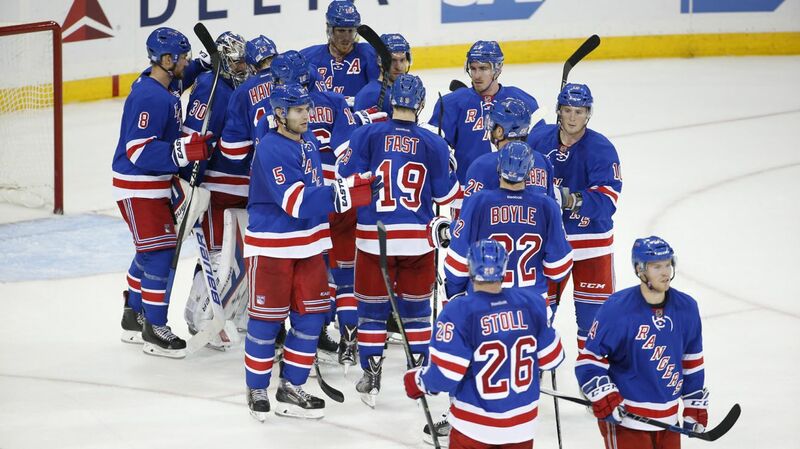 The Rangers and Flyers will face off at the Wells Fargo Center at 7 PM. The game will be broadcasted on MSG Network. Posted on October 24, 2015, in Game Previews and tagged Alain Vigneault, Chris Kreider, Claude Giroux, Dan Boyle, Dan Girardi, Derek Stepan, Derick Brassard, Dominic Moore, Duclair trade, Dylan McIlrath, Emerson Etem, Jarret Stoll, Jesper Fast, JT Miller, Keith Yandle, Kevin Hayes, Kevin Klein, Madison Square Garden, Marc Staal, Mats Zuccarello, MSG, New York Rangers, New York Rangers blog, NHL, NYR, Oscar Lindberg, Philadelphia Flyers, Rangers, Rangers blog, Rangers Flyers rivalry, Rangers rivals, Rick Nash, Ryan McDonagh, Viktor Stalberg, Wayne Simmonds. Bookmark the permalink. Leave a comment.